What's the deal with CRUD? WE are the chopper riding urban dwellers of San Francisco, California. 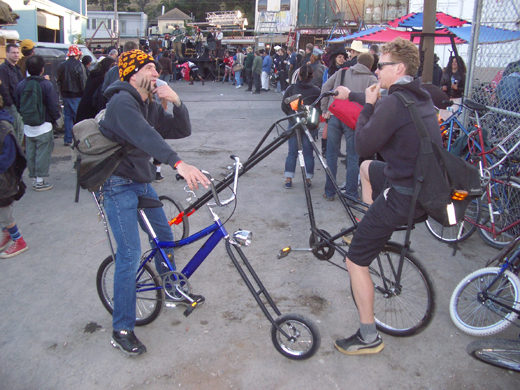 CRUD builds and rides chopper bicycles . Most of our bikes are trash picked from the sidewalks keeping them out of the landfills they were destined for. 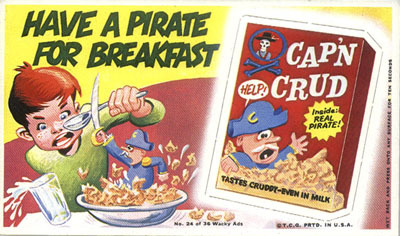 For the definitive background of CRUD, check out the history Page. Its taking a long time to compile, and translate, so it might not be up yet. 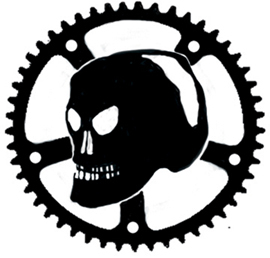 Check out the links page, because there are tons of people doing really amazing things with and without bikes: choppers, single speeds, music, etc. If you are expecting us to go on about how we hate people in lycra, go elsewhere, because we don't. 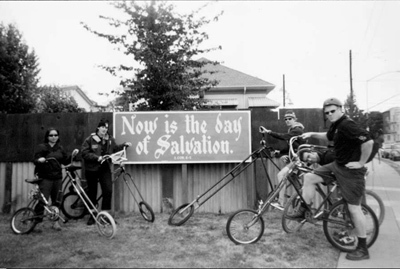 We have better things to do like drink, chop bikes, and ride.